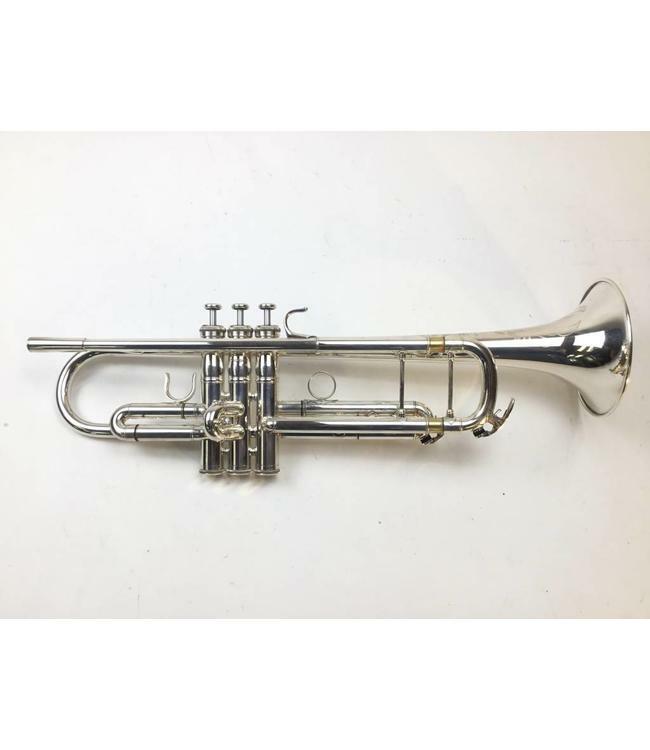 Used Yamaha YTR-8335HGS medium large bore Bb trumpet with gold brass bell in silver plate. Overall good condition with minor wear, dings, and signs of repair throughout, not affecting playability. Minor scratching and plating wear at contact points. Custom engraving on bell. No case.